An Initial Coin Offering (ICO) is the sale of a new cryptocurrency or token created by a company to its earliest adopters, in exchange for funding for further development. It is a sophisticated and democratic way to raise funds, where every investor – big or small – can participate. 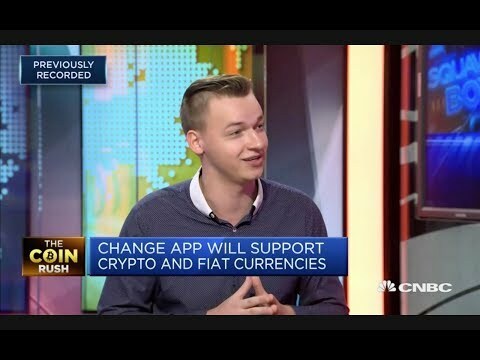 At Change, we are building the first global bank, providing a revolutionary service to people from all around the world. Our mission is to remove borders in the financial sector, and to ensure that every citizen has access to alternative financial services, finally ending the artificial monopoly created by local regulators and traditional banks. Change is raising a total of 250,000 Ether. Investors can use Ether to enter the ICO. 125 million Change Coin will be issued, with an exchange rate of 1ETH=500CAG. We are rewarding members of Change community that help spread the word of our ICO. A total of 15% of all Change Coins will be allocated to community, R&D, and bounties. Early investors will be rewarded with discounts and exclusive access to a Change Maker status, and a premium Change Black card. The first 500 investors will receive a discount of 30%, with other pre-sale discounts to be announced.